The advent of digital photography has led to an explosion in photography, both as a creative art form and as a career choice as well. The basics of becoming a photographer are incredibly easy now; You can buy a camera and some equipment, learn photography from a multitude of free online photography courses, practice your photography skills, find a niche that you can focus on. You can indeed find your own answers to the question - how to become a professional photographer. However, though it sounds easy, the truth is not that simple. Photography is an extremely competitive field that requires you to have talent, skills, marketing acumen and discipline to make your mark as a professional photographer. To be successful, professional photographers need to not just be talented; they also need the tenacity to put in long hours, compete hard due to supply-demand imbalance and manage their business as an entrepreneur. While you can earn much more as a photographer, based on your talent, skills, portfolio and business acumen, it would be wise to make sure that it’s your passion and love for photography that's driving your decision to go down the path of becoming a professional photographer. Once you have figured out what motivates you and decided on taking up photography as a career, its time to start looking into the big question - how to become a professional photographer. Create your professional photography portfolio website in minutes. Get started free. No credit card or coding knowledge required. 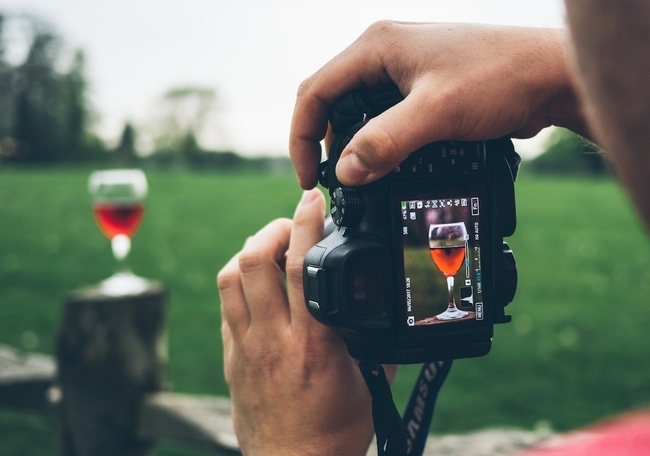 Professional photography can be an excellent choice for a career if you can manage the right balance between your creative passion and entrepreneurial instincts. Just like starting out in any other business, put together a list of questions that you need to answer for yourself before you begin your photography career. Am I prepared to start small and persevere alone? Can I work alone as a photography professional? Which photography specialty niche excites me? What are the gaps that I can fulfill in my local area? What value would I offer to my clients? You would find the answers to most of your questions through research, both online and offline. Go to photography talks, exhibitions, and seminars. You would meet a lot of photographers in these events, and you can get a lot of answers directly from them. There are a number of online photography communities that you can become a member of. Some of the answers that you seek will come from a structured education, and some answers will only come with experience and time. Tip: Find a photographer to mentor you. Help him out in his assignments and begin learning the basics of photography business from him. Professional Photography is one of the very few fields where a structured training is not a pre-requisite. You can self-learn, practice and improve your skills without going to a formal educational institute. However, it can add a lot of value to your career, skills, and experience. A lot of professional photographers have taken Photography Courses at Schools, Universities or Design Institutes. Besides a formal course of instruction to develop their skill sets, a photographer should have a keen eye, oodles of creativity and technical ability. We have listed a few simple steps to get you started. 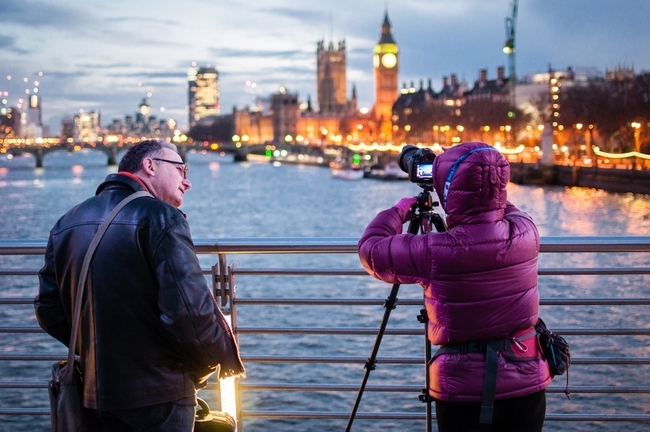 Choose wisely from the many Photography Courses available. 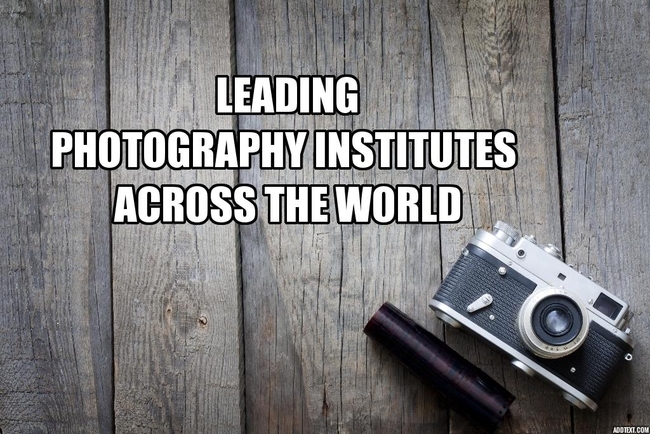 A wide range of photography courses from Photography Certificate programs to Masters level courses is available. Principles of Digital photography, how to use Photography software and image manipulating techniques. The Associate Degree in Photography is offered in various Art Schools, Colleges, and Universities. The Associate Degree course typically lasts for two years. The curriculum is technical and prepares students to learn the different types of photography and use various techniques – from transparency and negative films to working in a natural setting. Students also learn to acquire skills for making photographs in a studio. The Bachelor of Fine Arts in Photography is typically a four- year course available at a University or College. The course includes in-depth curricula and supporting coursework. It entails a study of the fundamentals of photography, digital and film photography, its narratives, history, and techniques. The course also teaches understanding imagery in Editorial, Advertising, and Fine art photography. The Master's Degree in Photography or Master of Fine Arts prepares students to explore theory and gain essential practical experience. The Master's Course is available for students who have completed the Bachelors Program. 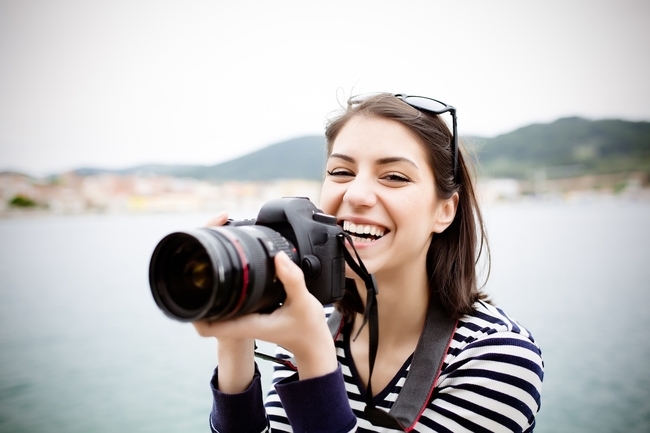 If you are currently employed full-time, you can choose from a range of Online Photography Courses that will give you a good understanding of the basics. While the really good ones are paid, there are several free online photography courses also available. You can take up these courses in your free time and improve your skills. You can also join photography workshops during weekends to build your portfolio. Reading a lot is essential, and there is ample information available on photography blogs and podcasts to get an understanding of the basics of photography – composition, aperture, shutter speed, ISO settings, depth, white balance, etc... You can always learn additional skills on lighting, posing, equipment, flash and improve your editing skills as you go along. Start small and then begin working on your images using photo-editors. Gradually you will learn the art of perfecting your pictures using settings in the professional editing software. If you’re a young, budding photographer, look out and network with other photographers and mentors. Never shy away from getting feedback about your work. You are eventually going to make a living, based on the quality of your work. Look out for vacancies and get a job as an intern or an Assistant to gain hands-on experience that no university or school can teach. The key is to get professional photography experience by applying the knowledge and skill-sets that you have learned in the real world. During your internship, focus on learning how a photography business is run and how to deal with clients. Your education and internship experiences would help you learn the art and technique of photography and give you a more definite sense of the kind of photographer you want to become. Its time now to start defining your style of photography and find your niche and concentrate on the genre/photography style that you enjoy. Do you want to shoot portraits, travel, weddings, fashion, conceptual fine art photography, documentary or are you interested in commercial photography? Research the niche that you want to focus on - For example, if you want to become a wedding photographer, study and learn from the best wedding photographer websites. 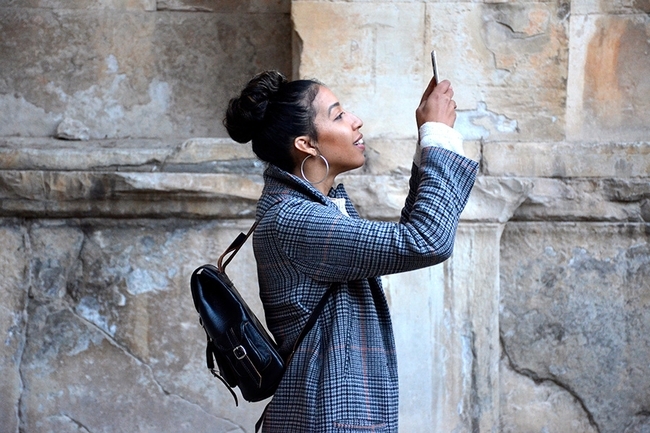 Develop your individualistic style of capturing the world. Create your own photo stories. Is there something specific that you enjoy shooting, e.g., black and white, portraits, humor, color? Follow your heart and trust your vision. That will help you evolve a unique style. At times using specific equipment, a particular subject matter, lighting set up and editing process helps in defining an individual’s photography style. Be aware of the work being done in your industry. Read industry-specific blogs, research, find inspiration and get those creative juices flowing. While you need proper equipment to capture high-quality images, don’t go overboard in purchasing all the fancy photography gadgets you can find. Be frugal and make well-considered purchases. 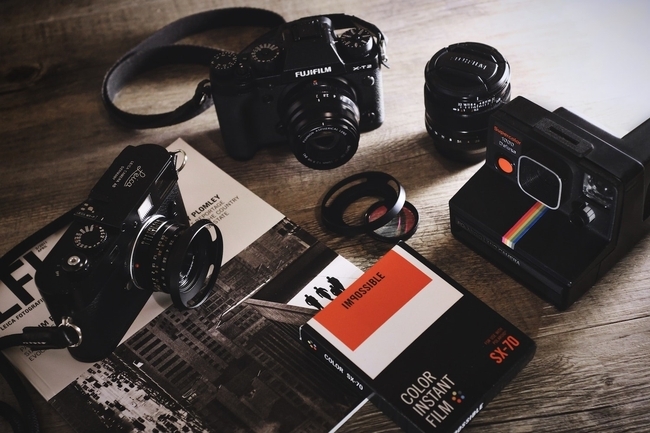 In most cases, you can start out by buying second-hand equipment in good working condition or slightly older models of camera or lenses at a significant discount. Buy a decent DSLR camera to get started with. You don't need the highest model to get going. Some photographers feel using an SLR camera is a more authentic way of learning photography. Read this article on SLR vs DSLR cameras to make up your mind. Make sure that you buy the right set of equipment based on the type of photography you are focussing on. Buying lenses is always an area where people tend to make a lot of wasteful spending - pick your lenses carefully so that they can serve you in most of your working situations. 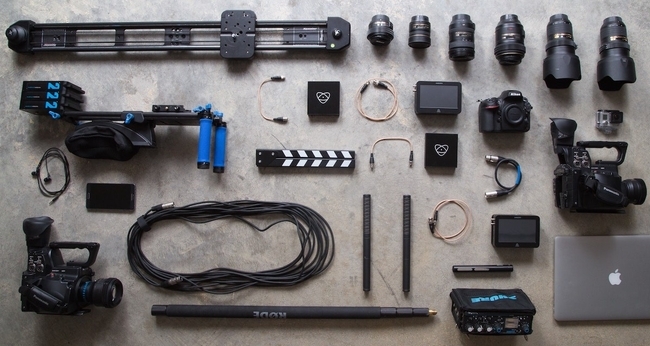 Also, make sure that you invest in the right hardware and software for post-production. A proper color-calibrated monitor and the right editing software would be must-haves for your professional photography needs. You can rent expensive items that you do not regularly need. 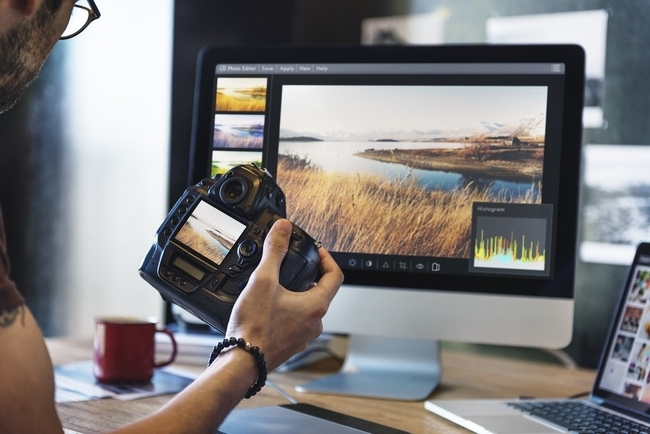 When it comes to post-production, Lightroom and Photoshop have traditionally been the editing tools of choice for professional photographers, but the decision by Adobe to make these programs monthly or yearly subscription-only has made them less popular. There are other reasonably priced, subscription-free image editor options available that can challenge Lightroom. For example, Skylum’s Luminar 2018 is an advanced professional photo editing software for Mac and Windows with intelligent filters and over in-built 100 presets. Luminar speeds up the photo editing workflow to deliver great results in less time. It also features some advanced tools like layers, masking and blending, lens correction and transform tools — to name just a few — that take image editing to the next level. Its all starting to come together now. You now need to continually hone your skills by practicing various facets of your photography specialization over and over again. Make sure that you become proficient with all your equipment, and know the inside out of your camera. Shoot pictures every single day. That is the only way you will get better at what you do. Start a 365DayProject. Use Pinterest to create boards and curate your best shots that follow a particular style. Tip: As a professional photographer, you do not want to fumble with your equipment in front of clients. Make sure you know everything inside out before your first professional photo shoot. Your photography portfolio is the most crucial tool in your arsenal to become a successful professional photographer. Having an impressive photography portfolio will pave the way for success as all potential clients will judge your skills and talent based on your portfolio. Select your best images that show the full range of your work - make sure that your portfolio wins over new clients for you. Tip: Don’t shy away from taking up a free project for a client when you are starting out if it can add substantial value to your portfolio. Creating your online portfolio website is critical for you to get exposure, reach out to clients and have them view your work. Your photography website is your window to the world - it can open up new opportunities for you and win you clients and projects beyond your network and local area. Your website, branding, content should reflect the kind of work you specialize in, to draw the right customer base. Learn from how other top photographers are showcasing their portfolio - have a look at these photography portfolio websites. 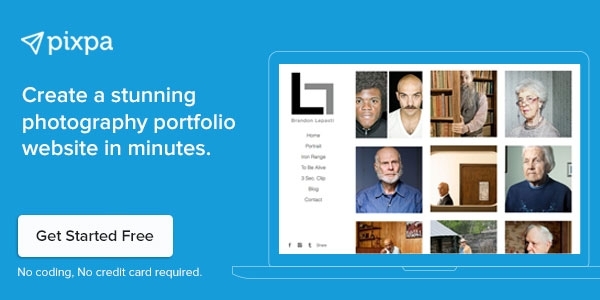 Choose the right platform to create your portfolio website. Make sure that the portfolio website builder you choose offers the flexibility, features, and ease-of-use you need to put together a professional portfolio website without requiring any coding knowledge. Check out our guide on best practices and tips on how to create your portfolio website. 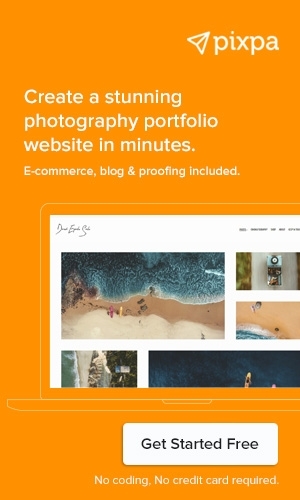 Pixpa is a portfolio website builder platform that is trusted by photographers around the world. Pixpa offers an easy yet powerful drag-and-drop website builder and includes client proofing, e-commerce store and blogging tools to enable you to manage your complete online presence through one seamless platform. Make sure that you calculate all your input costs and profit margins to arrive at the prices for your photography. Research photographers in your area and field, but factor in the value that you bring to the table. Be flexible and have a price range. Do not undercut your competition too much to win projects and also be wary of over-pricing and losing clients. Learn the basics of how to license your images and also put together templates for contract agreements with clients. Check out our comprehensive guide on how to price your photography. Once you your online portfolio in place, you need to invest your time in marketing yourself. There are several ways in which you can market yourself as a photographer. You can participate in photography contests to gain exposure, participate in local trade exhibitions, email potential clients about your service offerings, get active on social media, network and build client relationships and pitch for the right openings in your industry and be open to collaborations. 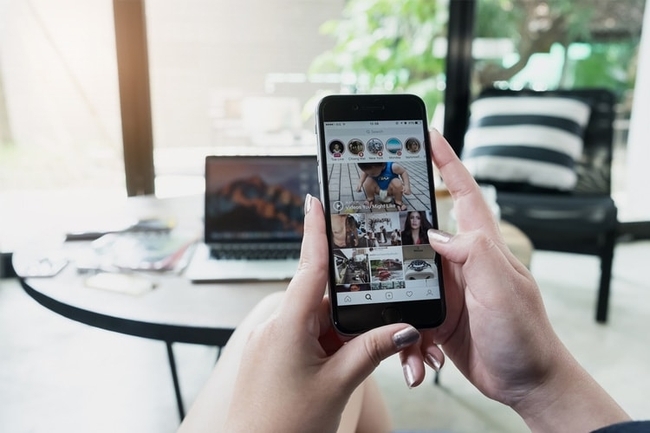 There are a number of online resources for photographers that you can use to learn how to market yourself and get more exposure as a photographer. Tip: Retaining clients is critical for you to become a successful professional photographer. Be professional, set the right expectations and always strive to deliver your best work. Clients want to work with Photographers who are professional and get the work done right. It’s a win-win for both sides! Your number one priority from here on is to grow your photography business. Everything that you and all the choices you make will impact your success - the kind of work you do, the clients you work with, how your price your photography, your specialty and area of operation - all of these affect your photography business. Make sure that you are consistent and are continually marketing yourself, meeting new people and most importantly retaining old clients. Keep your passion for photography alive and continuously strive to do great work that would make you stand out. That's the sure-fire recipe to pave the path to your long-term success as a professional photographer.